This year I am again presenting at Oracle Open World 2011 which is taking place as usual in San Francisco, California. I decided to rent an airplane. Because my pilot license is not valid in USA without some paper work I also hired an instructor to fly with me what was probably the easiest and also the safest thing to do. I was trying to get a Mooney but unfortunately it was already booked so I rented Cessna 172. I had my basic training on C172 so it was not a big deal to fly it although the last time I was flying it was more then 3 years ago. My instructor was Greg West from West Valley Flying club based at Palo Alto airport. After preflight inspection and some becoming familiar with very complicated airspace in the bay area we took off and headed towards Half Moon Bay airport at the Pacific coast. The weather was excellent although with some clouds at 4000 feet so we had to do a little bit of diversion to stay outside class "B" airspace and later on we were bale to overfly the clouds and do a touch and go at Half Moon Bay airport. 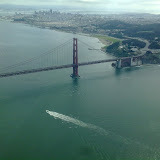 Then we headed to the north towards Golden Gate bridge. 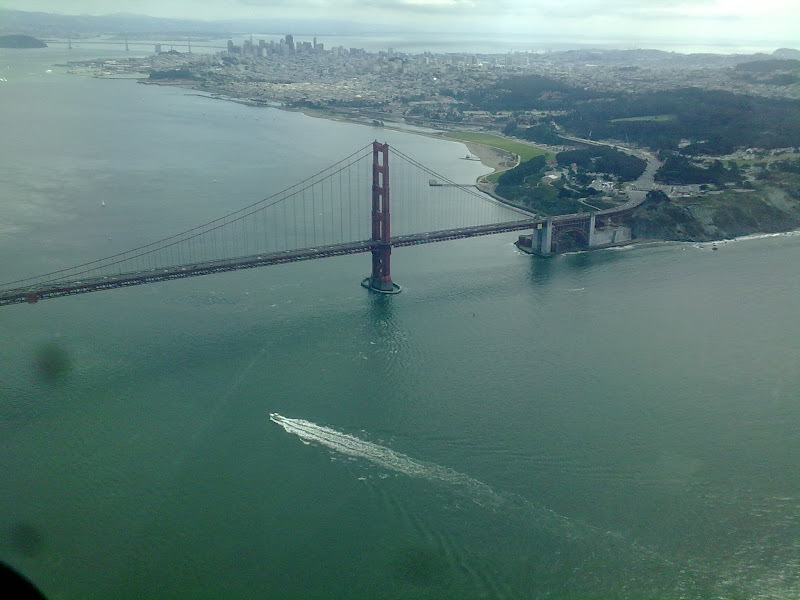 We were flying at 1400 feet and overflew the bridge and passed Alcatraz and then we flew to the south near the San Francisco downtown and further on to the south. We asked for permission to pass through San Francisco International airport control zone and we got the permission. I am quite sure that something like this is not possible in EU. Then we passed San Carlos airfield and landed at Palo Alto. The whole trip was 1h20, Greg was doing the communication, I was flying.